FCC chair, Ajit “Pay Toilet” Pai, attempted recently to refute claims that “repealing utility-style regulation will destroy the Internet as we know it and harm innovation” by saying Net Neutrality would be ensured by corporate transparency (see “trust us, we’re making money from you and we’re not even bankers”). Here’s the thing, it’s a utility, full-stop. In most of its configurations it still uses all or part of the same transit corridors as other utilities. Despite the invisibility of wireless, the transmission system still has the structure of wireline networks and invariably has that structure (see coverage maps which mimic the roadway network). Eliminating utility-style(sic) regulation will introduce de facto congestion pricing and resegregates bandwidth in favor of corporate greed that will have a disproportionate effect on the digital divide(s). Such pricing sounds OK when one thinks about reducing negative externalities like air quality and fossil-fuel consumption, but at some moment it won’t actually finance EV development, or regulatory removal of polluting equipment. Similarly, carbon crediting is also about commodifying pollution, as if its trade would stop children getting asthma. Because it is about acceptable and new centers for profits, and like the climate deniers, telecom industries only appear to have no negative information externalities because digital knowledge seems more fungible. The resemblance resides in the current White House Twitler, proving how false consciousness and stupidity converge. December 8, 1993 – “North American Free Trade Agreement Implementation Act” – The “Buy American” provision to now include Mexico and Canada. Given its complexity, national utility policy needs more rather than less regulation, despite Title II. Like environmental racism, it will be a matter of locational discrimination caused by the will of capital.The histories of rural electrification and rural telecom must-carry requirements are not that dissimilar, despite the growth of wireless, cable, satellite and more complex broadband infrastructure. Reregulation to address the problem of cross-subsidies which address inequality has always been important for utilities, whether it’s home energy or telephone service to rural areas. The FCC rarely micromanages except in cases appropriate to its original mandate to reduce interference and congestion in the public interest. The real capital surface is of course sprawled, and the space between city and country in suburban development is the actual territory where broadband profits reside. Even as a complex geolocational construction, the electromagnetic spectrum is still a commons, however tragic. Pai assumes that investment decline even as network infrastructure has surplus capacity suggests that it’s just about resegmenting the market to enable more speculative investment. It is about finance capital and all the capitalist lies meant to ensure profitability at the cost of alienating consumers. More troubling is that Pai’s deregulatory claims are short-sighted at best, like most policy proposals under neoliberal capitalism, and at worst simply another speculative capital grab no different than the auctioning of spectrum in 1996. Pai’s clumsy Republicanism fosters media oligopolies at national/regional/local levels and inhibits innovation insofar as access becomes skewed to consumption and limits small-producer broadband support. It’s not the absolute doom of the Internet, it’s just putting up more fences and getting more corporate, gated communities -— a manorial division of spectrum, where someone might shoot you if you trespass. Like the South Sea Bubble and Trickle-Down Economics, it’s another capitalist confidence game, making the public private, because they can, and have more lawyers. The real problem or advantage is that owning multiple digital delivery devices will have multiple profit channels for complex access (see price gouging when you’re on vacation or if you wander into an expensive neighborhood and you want to watch something streamed). The simpler example of this is why things are so expensive in convenience stores or food more pricey in airports. As millions flocked to the web for the first time in the 1990s, President Clinton and a Republican Congress decided “to preserve the vibrant and competitive free market that presently exists for the Internet.” In the Telecommunications Act of 1996, the government called for an internet “unfettered by Federal or State regulation.” The result of that fateful decision was the greatest free-market success story in history. This burdensome regulation has failed consumers and businesses alike. In the two years after the FCC’s decision, broadband network investment dropped more than 5.6%—the first time a decline has happened outside of a recession. If the current rules are left in place, millions of Americans who are on the wrong side of the digital divide would have to wait years to get more broadband. The effect has been particularly serious for smaller internet service providers. They don’t have the time, money or lawyers to cut through a thicket of complex rules. This is why I’m proposing today that my colleagues at the Federal Communications Commission repeal President Obama’s heavy-handed internet regulations. Instead the FCC simply would require internet service providers to be transparent so that consumers can buy the plan that’s best for them. And entrepreneurs and other small businesses would have the technical information they need to innovate. The Federal Trade Commission would police ISPs, protect consumers and promote competition, just as it did before 2015. Instead of being flyspecked by lawyers and bureaucrats, the internet would once again thrive under engineers and entrepreneurs. We have proof that markets work: For almost two decades, the U.S. had a free and open internet without these heavy-handed rules. There was no market failure before 2015. Americans weren’t living in a digital dystopia before the FCC seized power. To the contrary, millions enjoyed an online economy that was the envy of the world. They experienced the most powerful platform ever seen for permission-less innovation and expression…. The governor has proposed the removal of coin-operated facilities in public conveniences of buildings of the island as his latest assertion of complete democracy. Quite possibly, part of the critical animosity during the postwar years stemmed from Noel Coward’s tendency to satirize in these new comedies many of the sacred cows of contemporary political liberalism. The old native leader, Punalo, who opposes independence, regularly argues with the governor telling him that minor economic gradations of caste provide the natives with incentives to work by allowing those who succeed the privileges of their improved social status. This entry was posted in American History, Capitalism, Free Speech, Government, History, inequality, information Technology, Internet, Political Science, Politics, Propaganda, Science, Uncategorized and tagged ajit pai, FCC, Media, Net Neutrality, Politics. Bookmark the permalink. I am torn between letting them run wild for a while longer, versus nipping it in the bud now and proceeding with full force of the prosecutor’s indictments. The longer it goes on, hopefully the scales will fall from the eyes of heretofore True Believers. On the other hand, there is risk of a tipping point from which the Republic cannot recover. When LeeRoy, back in Gizzard Holler, can no longer get his favorite programs, will he blame the Occupant, or will it all be Hillary and Obama;s fault? LeeRoy is not given to critical thinking or timelines, so he will probably blame Obama. After all, recent polls show he is in favor of impeaching Hillary, and 9-11-2001 was Obama’s fault, even though BHO was not elected until 2008. Calendars are fake news, don’t ya know. I hope that Gene will take time to weigh in on Pai’s logic, or rather, lack of logic. There are so many logical fallacies in Pai’s statement(s), it is hard to know where to start. Just for openers, net neutrality as it has existed up until now has not stifled innovation, but rather has encouraged it. 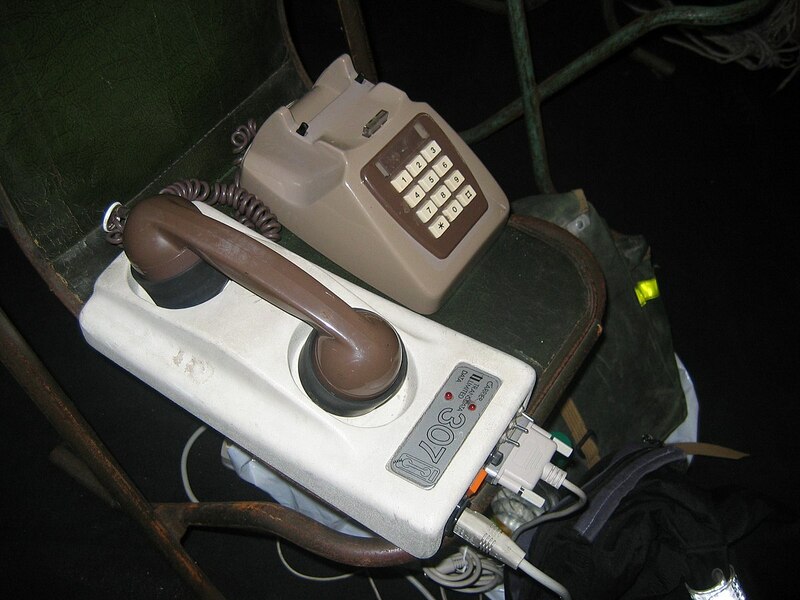 If the big telecoms had their way, we would still be putting a (rented) Princess telephone receiver on a 56 baud modem and listen to it whistle as it dialed up the intertoob (that singular tense is intentional). At another level, we would still be paying extortionist prices for long distance. Out of roaming area? Send money……lots of it….per minute. Not being completely out of touch with reality, I discontinued my land line altogether. In the three months following the death of my wife in 2011, I got hundreds of phone calls. Three of them were legitimate, from my brother in law. The rest were telemarketers, political robocalls, and ‘Heather from card services.’ At $60+ per month, I thought that a bit excessive for one legitimate phone call per month, not to mention the aggravation of scads of useless calls. Went to cell phone exclusively. My BiL knows my cell number. I used to have call forwarding on my office phone, but kept getting more calls from ‘Heather from card services,’ not to mention more scam calls and endless SEO salespersons. Now, if the caller does not leave a message on the answering machine, they don’t get a call back. Telemarketers know they won’t get a callback, so never leave a message. When we first moved to this area, a call from Elizabethton, TN to Johnson City (eight miles) was 5 Cents per minute. Never mind the fact that the exchange was in Johnson City, and as far as the gear was concerned, it was a local call. The telecoms have the ability to shove a lot of information through a single fiber optic cable. A research group at the Technical University of Denmark (DTU), broke the one-terabit barrier in 2009. That is multiple lifetimes in computer technology (see Moore’s Law). In 2014,that same group has squeezed 43 terabits per second over a single optical fiber with just one laser transmitter. I don’t have more recent data, but it is safe to assume (see Moore’s Law…again), that has probably doubled, or more. I am paying for 60 MBPS. An official with my ISP confided to me that it could be increased to 100 MBPS by simply throwing a switch. That was shortly after I paid a premium to increase my download speed from 40 to 60 MBPS.